Now that the New Year is in full swing it's time to relish the new beginning and celebrate. While looking forward to what's in store it's always good to do it in style. Whether you're going out to party or on a glamorous rendezvous, today I've picked out some simple & easy makeup looks that'll have you looking like eye candy- quite literally. Take your everyday blush tones and turn them up a notch with a metallic pink shadow. Keep it kohl; for a simple smoky eye, follow these two steps- line & smudge. Be sweet as a peach by mixing orange and rose tones during the day and then add gold to liven up your look for the night. 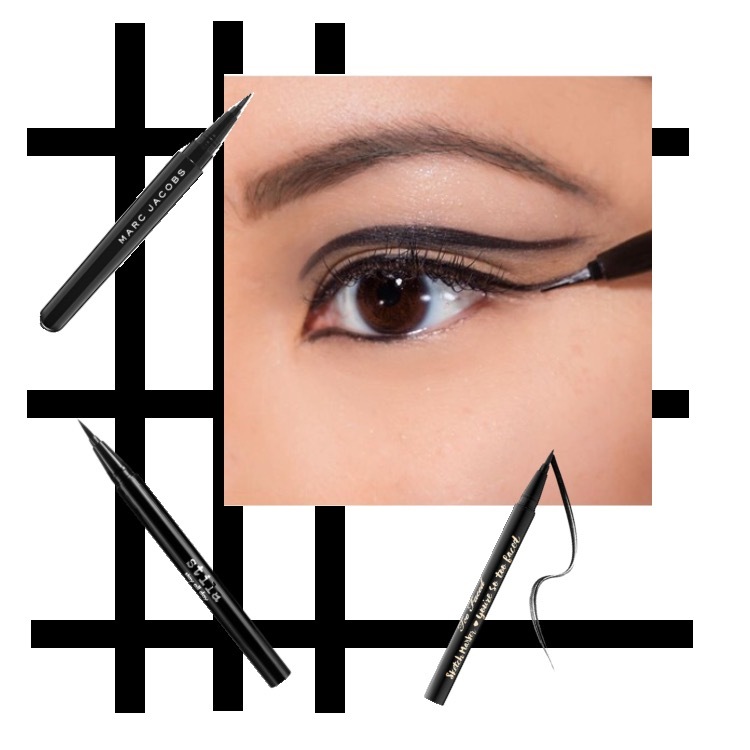 Line it up; this cat eye 2.0 features an extra swipe of liquid liner. This sultry plum shade was made for the weekend. With a subtle pop of color and a stunning metallic shimmer you'll be catching everyone's eye.